ISB, a place we can call home It has been an exciting month since we were last in touch. Aside from coping with the change in weather, my, my, it’s a cold day today; we’ve also been beavering away in our ISB activities. 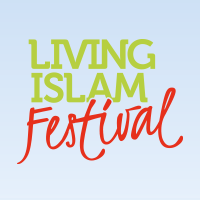 We are on our way to an exciting Islam Awareness Week, now in its 21st year, and the Living Islam Festival is shaping up nicely too. I will be making branch visits throughout this month in order to share with you more about what we are doing and learn from you. Some of you may know the British Muslim Awards shortlisted five women for the Noor Inayat Khan Memorial Award, Woman of the Year. The awards ceremony took place a few days ago; it was a real honour to be awarded the prize, one that is named after a woman of such courage and nobility, a woman who fought for justice and freedom against all odds. At the ceremony I was able to share some thoughts on the importance of working together, as families and individuals in ISB, where we believe that by harnessing all of our skills and time, we have been able to build an organisation that values all of its members, equally. A place we can all call home. Awards and prizes are often recognition of the investment that people and society makes in its members. The support, inspiration, trust and advice which people have afforded me over the years has been invaluable and has helped me to take on the challenges that Allah (swt) has sent my way. I have been particularly blessed with a wonderfully supportive family who love me, despite my shortcomings and weaknesses. My ISB family – all of you – has been just as inspirational over the years! In the departing month of Rabi-ul-Awwal, I have been especially reminded of the courage and steadfastness of our beloved and noble Prophet Muhammad (pbuh). In the face of adversity he strove to bring love and mercy to all those around him and beyond. I hope we can take a fraction of his commitment to the cause of peace and bring it into our organisation. Long may ISB benefit from the love and commitment of its members and supporters. In this months Newsletter we see some of the wonderful projects that are taking shape, ready to take off in the coming weeks and months. Take a look at how these projects can connect with you and your communities and consider how you can be involved in Islam Awareness Week and the Living Islam Festival. I know they will benefit from your input and you will certainly enjoy being part of the action too! Why am I Muslim? Why should I attain good Morals? What does it mean to be a good Member of society? Includes: debates, discussions, sports and workshops in drama, comic strip drawing, slam poetry, BBC Thought for the Day and much, much more! Tickets will be on sale at exclusive rates for members very soon. Click on the image for further information or like our Living Islam Festival Facebook page. An evening of celebration was held in Bradford on the 18th January as they re-started activities after a period of some quiet in recent months. Maroof Shaffi opened the evening and chaired the event that attracted more than 250 people. Dr Munir Ahmed gave a thought provoking talk about the importance of Rabi-ul-Awwal. Islamic Relief were sponsors for the event and raised £3,346 for their Orphanage Project. No event would be complete without plenty of good food and a chance to meet old friends and make new ones. Well done to Shannaz (Branch Co-ordinator) and her team who have clearly reminded us that the Bradford spirit is alive and well! Looking forward to many more reports of great events in the future. This year marks the 21st Islam Awareness Week and with only six weeks to go, members up and down the country are preparing for what we hope will be the biggest and best IAW ever! The theme this year is ‘Charity Begins at Home’ and we are focussing our efforts on social action. Charity isn’t just about giving money- it’s much more than that. It is about giving your time, your talents and yourself to others in so many different ways. It is about caring for your neighbours and the neighbourhood in which you live. Indeed this is an Islamic duty enjoined on all of us and, through social action, Muslims can contribute to the wellbeing of the people and places around them. There have been some excellent projects run previously around soup kitchens, women’s refuges and foodbanks for example which have been really well received. Don’t feel you have to reinvent the wheel – build on existing projects and relationships that you may have developed over the years. Remember we have a duty to support the much needed work within our communities, with people of all faiths and from many diverse backgrounds. It really is very easy to get involved and make a difference to the lives of people around us. Please do get in touch, I would love to hear what you have planned for IAW. Also get in touch if you want some ideas, I be happy to discuss any thoughts or plans you may be considering don’t forget to take a look at the website www.iaw.org.uk – we would love to put your activities on here to share with everyone too. 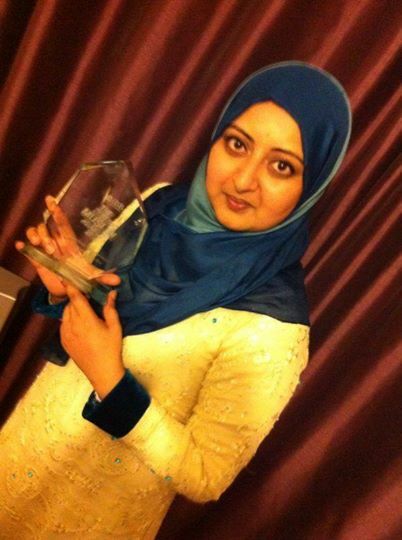 Many congratulations to ISB President, Sughra Ahmed, who at the British Muslim Awards, won the Noor Inayat Khan award for Muslim Woman of the Year. Well done to all finalists and winners across all categories.